No…really. These are that good. And if they were that good and a pain to make—it still wouldn’t be worth the trouble. 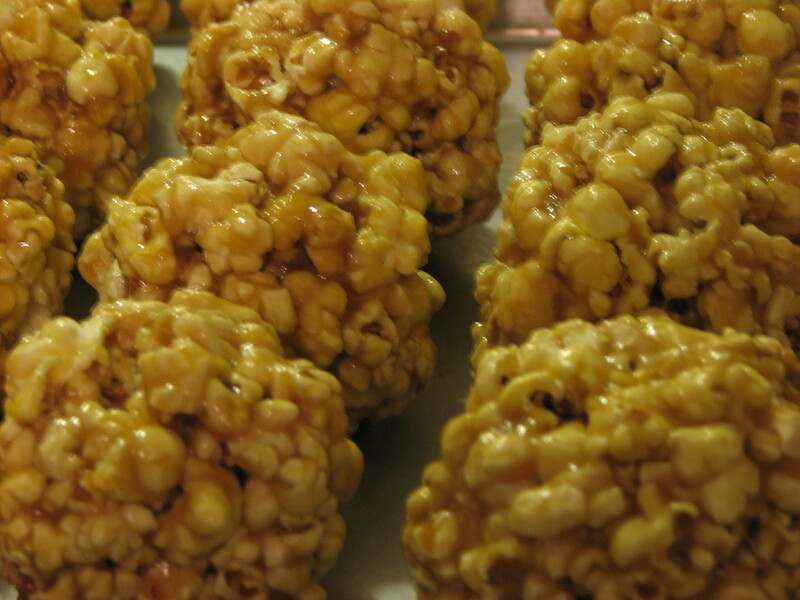 But the good news is that they are chewy and soft and have the best flavor I’ve ever tasted–for a popcorn ball–and they are fast and EASY. I’m serious. I promise I wouldn’t make them otherwise. Are you ready? 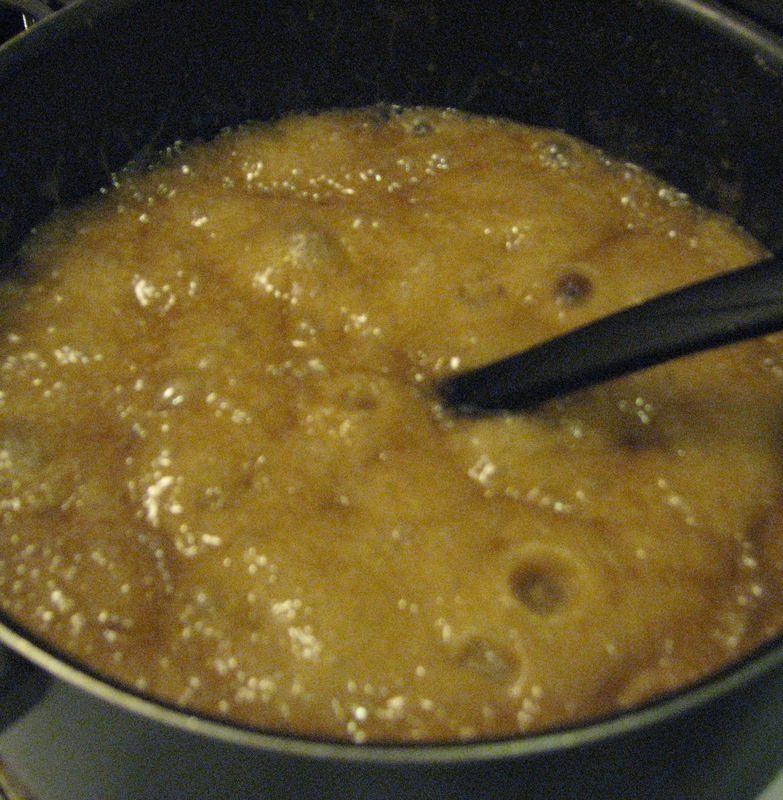 Heat brown sugar, corn syrup, butter and salt to simmering. Boil rapidly for 2 minutes. 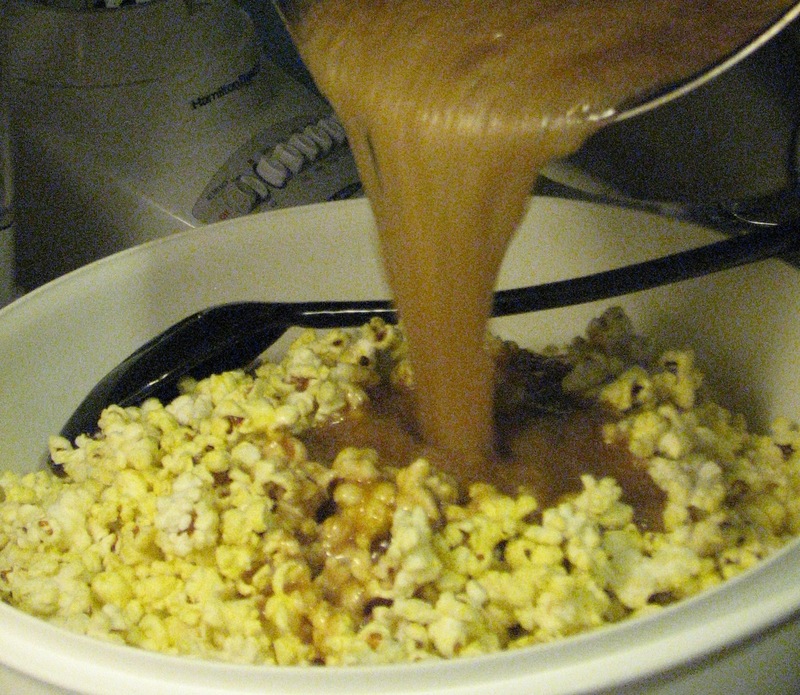 Pour over popcorn and stir until all the popcorn is covered. Allow to rest until cool enough to handle. Cover hands with sandwich bags and form into balls. Cool completely. Wrap individually in plastic bags. What are YOU passing out for Halloween treats tomorrow? Heat brown sugar, corn syrup, butter and salt to simmering. Cover hands with sandwich bags and form into balls. Wrap individually in plastic bags. We are so excited to announce our TWILIGHT Movie Contest. Read all about it and enter, enter, enter! Tell all your friends. The lucky winner will be our guest at the opening night showing in Jordan Commons, Sandy, Utah. Click on the Twilight Icon–to the right, for more details. 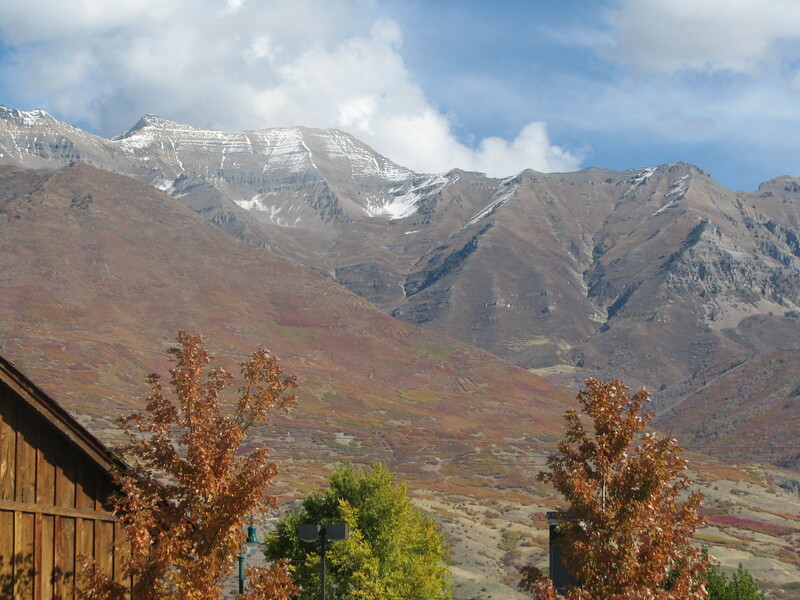 The weather is still fabulous here–in the high 60’s today. Hard to believe that it was snowing hard, a week and a half ago. The nice thing is that if you want to be outside, it’s crisp and wonderful. But if you need to work in the house, it feels great to throw the windows open and keep going. Perfect weather for sorting out the garage…or making pumpkin cookies…or molasses cookies…or popcorn balls. Yikes–luckily, it’s also perfect weather for taking long walks! Looks like I’m going to need them. 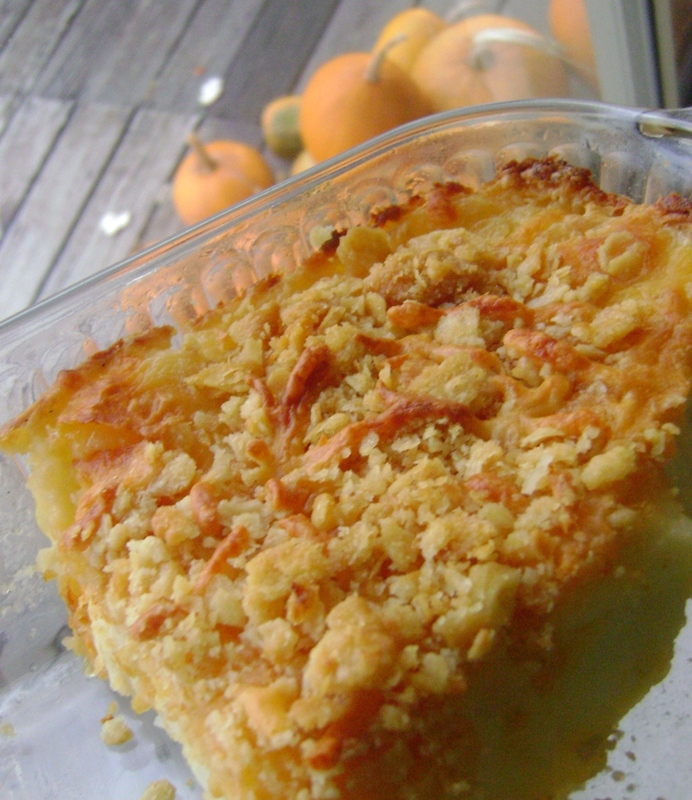 This is a great recipe that is just as easy to make in a large batch as it is to scale down. Any leftovers keep and reheat really well too. Boil potatoes in salted water. Drain. 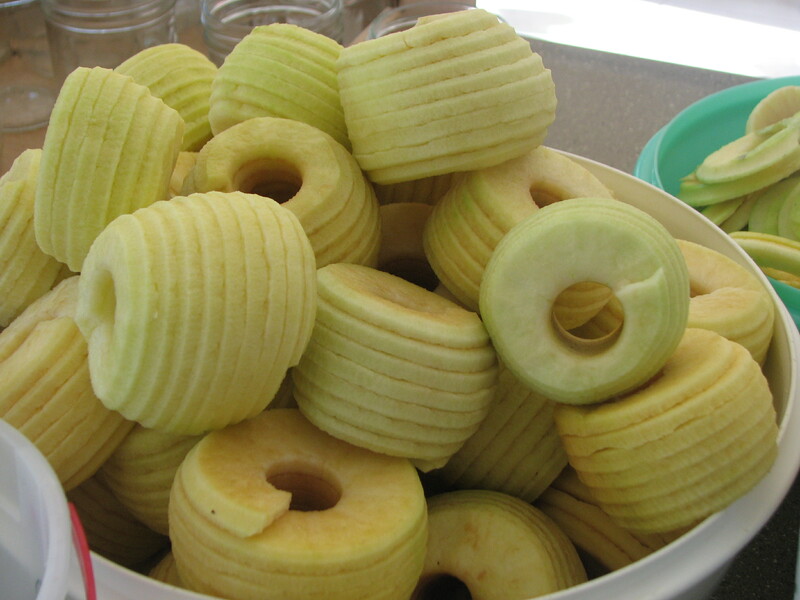 Cut into cubes–I run them through a french fry cutter–it works great. Make sauce with the remaining ingredients–except corn flakes and 2 T butter. Pour sauce over potatoes in a large bowl and mix well. Transfer into greased roasting pan or two Pyrex 9 x 13 baking dishes. Put crushed corn flakes into a Ziploc bag with butter and mush the bag until the flakes look slightly damp. Sprinkle over potato mixture. Bake at 350 degrees for about 40 minutes for 1 large pan or 25 minutes for two smaller pans. Frightfully good! What is your favorite pot luck food to bring to parties? Boil potatoes in salted water. Drain. Make sauce with the remaining ingredients--except corn flakes and 2 T butter. Pour sauce over potatoes in a large bowl and mix well. Transfer into greased roasting pan or two Pyrex 9 x 13 baking dishes. Put crushed corn flakes into a Ziploc bag with butter and mush the bag until the flakes look slightly damp. Cover with foil until the last 15 minutes of baking. Bake at 350 degrees for about 40 minutes for 1 large pan or 25 minutes for two smaller pans. So the babies needed hats and it was nearly Halloween. What was I supposed to do? 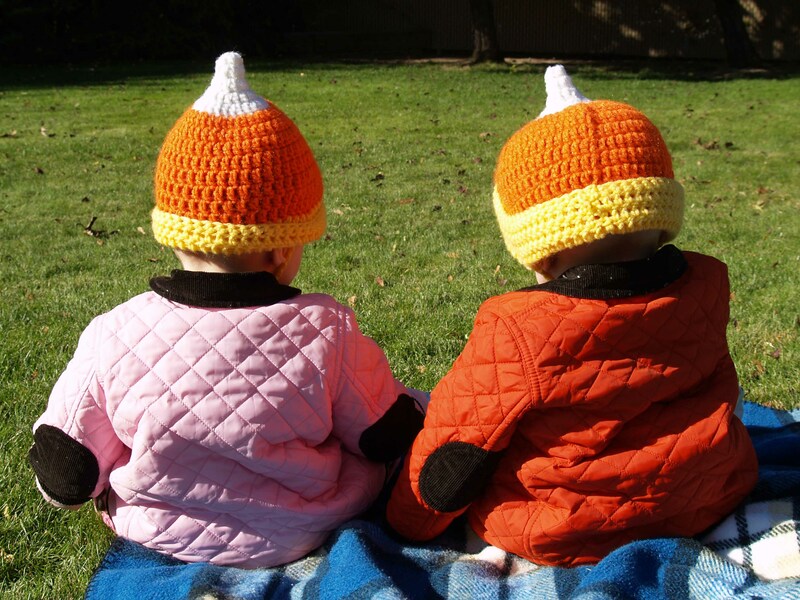 I found this adorable pattern for a Candy Corn Baby Hat: I had to wonder if they would turn out as well in real life as they did in the pattern picture. They turned out wonderfully and only took an afternoon/evening. So, yeah…very fast. Fold the brim up—or leave it down. Either way. I did increase the size for Beckham (right), because his head is rounder than Lily’s (repeat row 6 twice) but the pattern perfectly fit Lily (left) with no alterations. 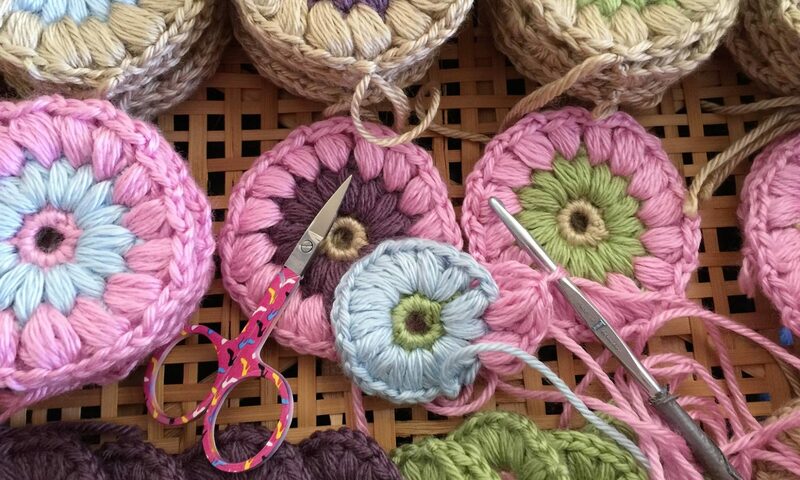 Do you know how to crochet–even a little? If not, would you like to learn? This season has a strange effect on me. It is my favorite time of year–by far, but there’s this ferocious maternal thing that happens. 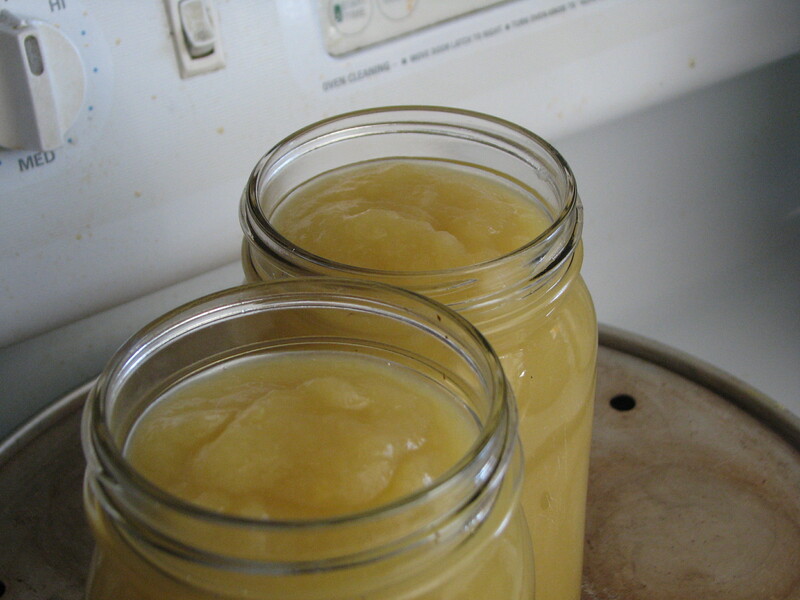 It presents itself in the form of an overwhelming need to freeze, can or dry whatever will stay still long enough to get it safely into a bag or jar and squeeze it shut. The cats are looking at me funny. 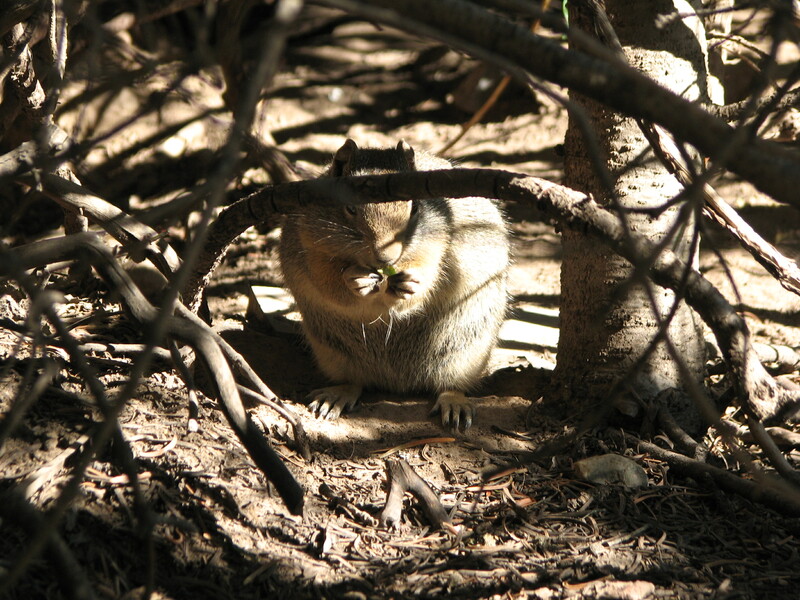 Even though I have baby hats to make, mending to do, files to sort, and rooms to clean, those things will have to wait a bit, until I get past this need to squirrel away all the nuts and berries for winter. “…all is safely gathered in…” for that rainy day, that may come tomorrow, or maybe next week. and we love the rain.